BIGJON from NY would recommend this to a friend. Very comfortable, strong motors. Nice fabric, pockets both sides. I love the full Trendelenburg position. Feel great relief on lower back and legs, glad I got this option. The only thing so far is the hand control broke after only couple of months. The relays are built into the control and I guess are sensitive. However I called to get a new one since it was under warrantee and the customer service was great and I got the new control the very next day. Hope the control is not a repeated problem they are not cheap. I am disabled and cant get out of chair without help from 2 people. Jim from webster, tx 77598 would recommend this to a friend. The out side edges (sides) of the seat may need a little more pad. Till I learned how to sit in the chair - sometimes I could feel the outside wood frame of the seat. This is being picky. Very good. Driver saw that my wife and I were both in our 70s and put the chair in our family room and not out side of our front door. I have heard bad stories of delivery problems - our driver was very pleasant and helpful. Bub from Frisco, Texas would recommend this to a friend. Performs as stated and really like the Brisa material. sis from Arkansas would recommend this to a friend. I have mostly pros. 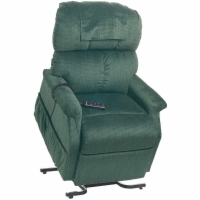 It has helped my husband get up to his walker so he can get into his wheelchair. I don't want to have to "live" without it. Forget sometimes to put the chair down after my husband gets out of it. janie from Racine, WI would not recommend this to a friend. Chair is not as wide as the chair I sat in in the store. It is also much firmer. I can't sit in it for very long because I start hurting. Color I wanted was no longer available (breast cancer pink), but still displayed in store. Only a couple of days warning on delivery. Delivery person had filthy hands and left dirty marks all over my chair. He also left the box sitting in my appartment for my caretaker to dispose of. Glad to be back in my lift chair. Hooray made in AMERICA. Relaxer Maxer from houston texas would recommend this to a friend. Great standup, Lift comfort, extreme horizontal back positions. Well rested from Pittsburgh would recommend this to a friend. Added features work well. Multiple choices for positions. Excellent fit. 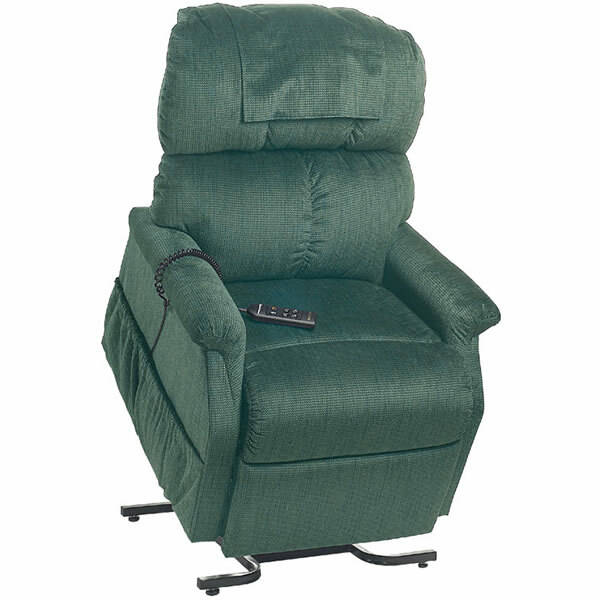 This chair has helped me greatly to get through the open-heart recovery period. From resting during the day to sleeping through the night until I could comfortably use my bed again. It is excellent and very helpful. Fran from Tampa, Fl. would recommend this to a friend. My husband was able to use it for a bit before going intto rehab. But since I also have knee problems, I find it very helpful. Amazingly wonderful chair, definitely worth the wait. Visiting Parents from San Diego would recommend this to a friend. Wife, with parents who live with me for half of the year. The chair is great. I am glad I upgraded the fabric a bit, as it is much softer. It moves smoothly and is great for my Dad. No more lower back pain. Big enough but doesn't dominate the room. It took almost a full 30 days to get my chair. The initial estimate is it would ship in 7-10 days. Then it was 12 then it was 15. Then it shipped and I kept calling and there was no help from their customer service. I waited and waited. Finally the freight people had the wrong phone number but they tracked me down. Could have been worse than waiting almost a month, but their customer service needs some serious help. No tracking number. Couldn't find how when it was. Then had to wait 5 days once they finally connected with me to schedule the delivery. The Christmas present was late. Great chair. They need to improve their customer service, but the chair is so great it was worth the hassle and wait. Maria the therapist. from Vero Beach, FL. would recommend this to a friend. Scientific and very selective that's why I selected this chair? Soft. Comfortable. Easily adjustable for comfort. Many uses, for sitting, resting, and sleeping. Arm covers fall off, this is very annoying. My husband may just purchase one for himself.